Pentecost is also a celebration of a force—the force we know as the power of the Holy Spirit. This is the day when we pay special attention to the Spirit—who the Spirit is, how the Spirit came to us, what role the Spirit has played in the past, and how the Spirit is present in our lives today. Typically we see the Spirit referred to with masculine words—“he,” “him,” and “his.” Our human language just isn’t big enough to describe someone who transcends gender, and so we fall back into the conventions of our own vocabulary and culture. But, the Spirit has no gender, because God transcends our human notion of male and female. Actually, if we have to choose a gender, it’s just as appropriate to refer to the Spirit as “she,” because the Old Testament Hebrew word for Spirit is feminine, and the New Testament word is neuter; it doesn’t specify a gender. But, whatever pronoun you choose, unlike the Force, the Spirit is a living being. The Star Wars force is created by those who have it. We don’t create the Spirit; the Spirit is given to us by God. Alone in all of creation, human beings are given the presence of the Holy Spirit by virtue of the fact that we are created in God’s image, with the God-breathed Spirit within us from our very beginning. While it is true that all of nature and art and science can reveal new understandings of God for us, and reflect God’s power and creativity, God is not in those things as the Holy Spirit is in us. The Star Wars force, says Obi-Wan, penetrates every being. I guess, in a way, you could also say that the Holy Spirit penetrates us. But I think a better way to describe the Spirit’s presence is to say that the Spirit lives in us—abides in us. The Spirit rests on us and envelops us. What does the Spirit do? The Holy Spirit prays for us, speaks to us and, sometimes, for us. The Spirit guides us to what is good, teaches us what is right, and convicts us when we’re wrong. The Spirit enables us to reject the power of the sinfulness that remains in us, as we are being perfected in love. Close your eyes for a moment and imagine that happening in this place, to each of us. Imagine the sound filling this room—this entire building. And then imagine looking around and seeing each of your friends with something like flames resting on them, and knowing from their expressions that those fiery-looking tongues are resting on you, too. Would you be afraid? Would you be awed? And how would you feel when you found yourself speaking in a language not your own, so that you were able to speak of God’s deeds of power, revealed in Jesus Christ, so that every person could learn the good news. That’s what happened on that Pentecost to those who were gathered together, faithfully waiting because they believed that Jesus would do what he had promised to do and send whom he promised to send. On that day, the Holy Spirit created the Church by binding together all Christians and empowering us to carry out the mission that Jesus gave us: to make disciples of all people. On that Pentecost, the Spirit filled the followers of Jesus and gave them the ability to speak in other languages. Their new-found ability was even more astonishing to the crowds around them than it is to us. Galileans had a reputation for having very poor speech. They could barely speak their own language, and all of a sudden, they were speaking clearly in other languages. This was so extraordinary that some less-than-charitable bystanders could come up with only one explanation: the disciples must be drunk. But they weren’t drunk. As Peter slyly pointed out, it was, after all, only 9:00 in the morning. And before someone could yell out, “It’s 5:00 somewhere,” Peter went on to explain what had happened: the prophecy spoken by Joel had been fulfilled, Jesus’ promise had been kept, and God had poured out God’s own Spirit upon all flesh, young and old, male and female, slave and free. That day in Jerusalem, the Holy Spirit gave Jesus’ followers the means by which they could communicate the good news to everyone who would listen, and the Spirit continues to give us that power today. We may not be able to literally speak Arabic or Mandarin Chinese or Spanish or Swahili, or use Braille or Sign Language, but by the power of the Holy Spirit, we have been given other languages we can use to spread the gospel—languages that can be understood by all. We can speak the language of compassion. I recently got a letter asking the church for help for migrant workers in our area. When we see those who seem to be strangers in our community, we can offer a smile and a helping hand. We can speak a word that may not be understood, but we can speak it in a tone that conveys care and respect. So many of us know the challenges of communicating with someone with dementia. We can listen and respond patiently, even if we’ve heard their stories dozens of times and endlessly repeated our names. Even when the words they speak are incomprehensible, we can offer a warm word that says, “I see you. I hear you. I love you.” We can speak the language of compassion as we look through the eyes of the one who came to save us all. We can speak the language of justice. There is so much injustice in our country and in our world today. We can make the phone calls and write the letters to our legislators, whether they are on the Village Council or in the highest office in the land. This is especially necessary if our lawmakers claim the name of Christ. We must insist that, if they so claim, they have a holy responsibility to lead as Jesus would have them lead—in ways that protect the powerless, give a voice to the voiceless, and help us become a more just nation—one that reflects the justice of God’s kingdom. We can speak the language of humble service and generosity, not just to those of whom we approve, but to all who require our help. We speak this language when we do what God spoke of through Isaiah: sharing our bread with the hungry and bringing the homeless poor into our houses, covering the naked when we see them, and not hiding from our own family—the family of all human beings. Jesus echoed these words when he said, “I was hungry and you gave me food, I was thirsty and you gave me something to drink, I was a stranger and you welcomed me, I was naked and you gave me clothing, I was sick and you took care of me, I was in prison and you visited me.” The language of humble service can communicate the love and grace revealed in Jesus’ life, death, and resurrection. When we speak these languages of compassion, justice, and service in the name of Jesus, as the power of the Holy Spirit has enabled us to do, we both live out and spread the gospel. We may not feel or hear something like the rush of a mighty wind. Instead, we may hear a still, small voice speaking into our hearts. 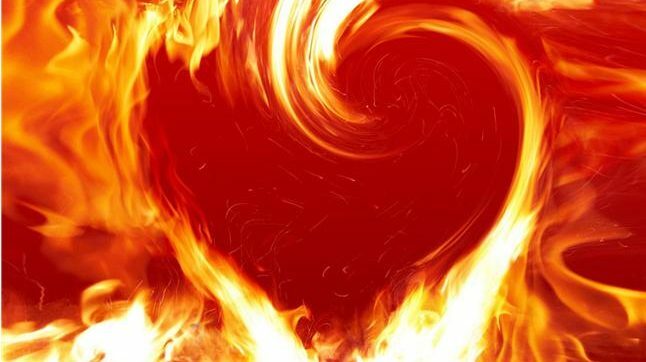 We may not see divided tongues as of fire resting on us, but we can feel our hearts strangely warmed. We may not wield light sabers and make objects float in mid-air, but we do have a power that is greater than any other force, real or imagined. We have been given the power of the Holy Spirit, and the power of that force is always with us. Amen.